FUN FRIDAY: Really? 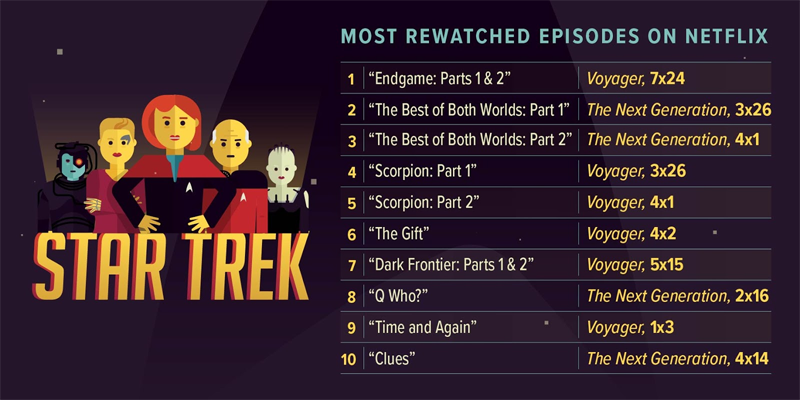 Most Watched Star Trek Episodes? 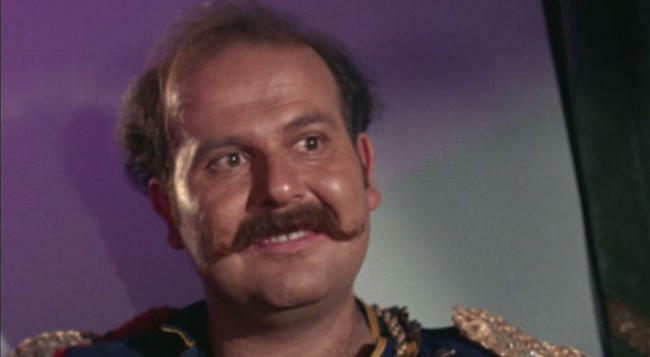 Maybe we’re in the Mirror Universe after all. I don’t get it. Seriously. There are a few good shows on there but nothing from The Original Series? Nothing from Deep Space Nine? And why is the list so heavy with Voyager episodes? It was arguably the most creatively bankrupt of all the series, and frankly I find it almost unwatchable most of the time. Is it something about the show’s Borg obsession? I have no idea. Netflix, according to other sources who picked up this story, stands by its data. They discarded the first two episodes of every series because basically everyone watches those, and then looked at episodes that people watched at least 6 minutes of, after they had already watched the whole episode once. I mean, seriously I’ve streamed The Trouble With Tribbles and its animated and DS9 sequels at least 10 times each. Where are those shows? Wait…. I think I get it. I just figured it out. Voyager is so boring that it takes at least 7 minutes before you realize that you’ve seen it before! The color schemes, the aliens, the cold opens, are all so mindnumbingly similar that you just don’t realize that you’ve sat through it! It’s only after Captain Janeway says “Ocampa” or “Borg Implants” for the 95th time that it begins to sound familiar! OK problem solved, at least to my satisfaction. Now, go out and stream some of the better episodes of the other Trek series and stop obsessing on Voyager.